For these U of T Engineering students, the short walk across the stage at Convocation Hall marks both the end of one journey and the beginning of another. 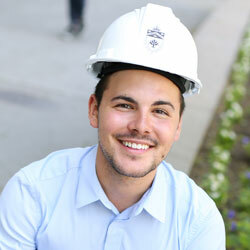 This year’s 16 “Grads to Watch” are just a few of the talented Engineering graduates who will receive their degrees at Spring Convocation on June 8 and 9. 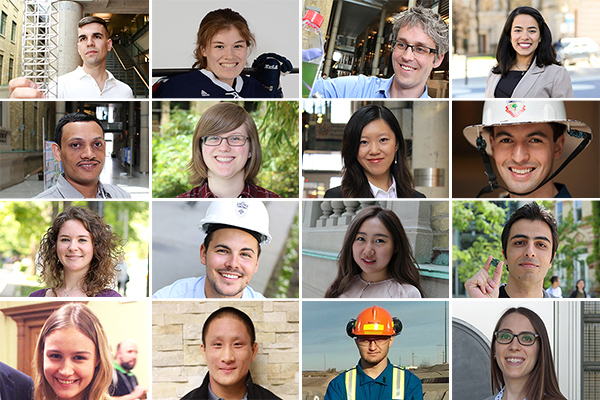 Selected by their home departments, each of these remarkable future Skule™ alumni has made their own unique contribution to enhancing the vibrant community in U of T Engineering—watch their next steps. “I want my future research to make an impact on repairing damage and treating disease in the human body,” says Maikawa. Last month she published her first scientific paper in the journal Environmental Health Perspectives, based on work with Professor Greg Evans (ChemE) and Professor Krystal Godri Pollitt (University of Massachusetts Amherst) on the exposure of asthmatic children to oxidant air pollutants. Her fourth-year thesis project, supervised by Professor Alison McGuigan (ChemE, IBBME) focused on new ways to visualize connective tissue cells in cancer tumours. In the fall, Maikawa will start her PhD in bioengineering at Stanford University. 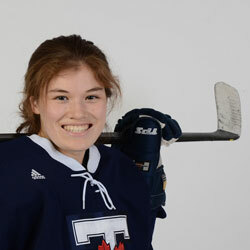 Maikawa played defence on the varsity women’s hockey team for the last five years and was thrice named an Academic All Canadian by Canadian Interuniversity Sport. She was one of two U of T engineering students to attend the Catalyst Canada Honours Conference, sponsored by the BMO Millennial Leaders Advisory Council, which allowed her to meet and network with champions of women’s advancement from across Canada. Lee says his favourite part of Engineering Science was getting to meet “a lot of really brilliant people,” and making lasting friendships. Lee received this year’s Engineers for the World (E4TW) Award from Engineering Science for his contributions to the wider community. These include his work as an instructor and officer with the Air Cadet program, where he taught aviation theory, marksmanship, survival skills and leadership. Lee was named an Academic All-Canadian while on the varsity curling team during his second year and he directed the U of T Curling Club, helping novices get into the sport. 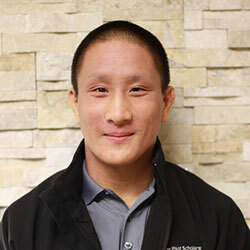 Following graduation, Lee will take up a position as an engineer in training (EIT) at First Air, an airline that operates in Canada’s high Arctic. 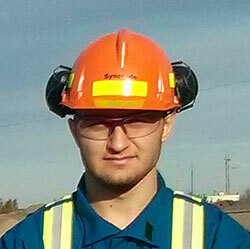 His portfolio includes troubleshooting operational issues, liaising with the government’s regulatory agencies and occasional trips to Nunavut and the Northwest Territories. Clark worked with Professor Philippe Lavoie (UTIAS) to measure and model how air flows around blunt trailing edge airfoils, structures found in both airplane wings and wind turbine blades. Her research could help engineers design more efficient airfoils that reduce fuel consumption and lower emissions from airplanes, or that increase structural integrity and dampen vibrations that cause noise pollution in wind turbines. For her work, Clark twice received the Zonta International Amelia Earhart Fellowship, a global competition recognizing women pursuing a doctorate in aerospace-related disciplines. 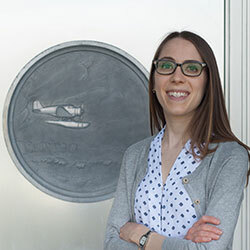 She has already started her new position at the National Research Council in Ottawa, performing experimental research in aerodynamics and aeroacoustics. Miao aims to use her computer engineering degree to “be a part of the technological developments that efficiently solve real-world problems and make our everyday lives easier.” For example, she did summer research with Professor Jason Anderson (ECE) on LegUp, a tool that lets programmers harness the power of hardware to speed up certain processes in their code. In the ECE capstone design course, Miao and her team created a rotational 3D scanner to reduce the cost and increase the accuracy of 3D printing projects, earning them the Gordon R. Slemon Design Award. 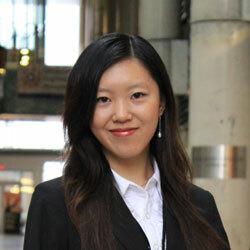 Miao completed her PEY internship as a Digital Design and Verification Engineering Intern at Intel Canada. Throughout her undergraduate studies, Miao volunteered as an ECE Ambassador, interacting with potential students at university fairs and open houses. She was also on the executive of the Sustainable Engineers Association and the U of T chapter of the Institute of Electrical and Electronics Engineers (IEEE). “Working, studying, and interacting with so many intelligent and motivated individuals inspires and motivates me to work harder to achieve my full potential. Greef says one of her personal highlights was working for Bombardier Aerospace as part of a summer internship through the University of Toronto Institute for Multidisciplinary Design and Innovation (UT-IMDI). 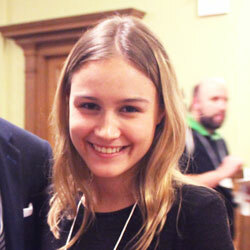 Outside of class, she represented the University of Toronto at two Pan-American Chess Championships, winning the “best international team” trophy both times. “Graduate students sometimes forget how revolutionary and amazing the work we do is,” says Lausic. “Taking a step back makes you realize how lucky we really are.” Lausic’s research, co-supervised by Professor Glenn Hibbard (MSE) and Professor Craig Steeves (UTIAS), combined 3D printing with the high strength of nanocrystalline materials. The goal was to create new fabrication processes for ultra-lightweight materials that will power the next generation of aerospace structures and enable greener transportation. 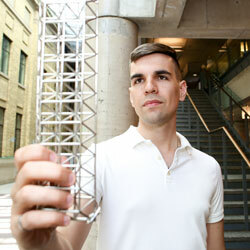 Lausic is skilled at communicating his research and was featured on a mini-series for Global TV called “Small Wonders” which explored the potential of nanotechnology. He also instructed courses on electron microscopy, 3D printing, and engineering math for DEEP Summer Academy, engaging high school students from Canada and around the world. After convocation, Lausic will begin a MITACS post-doctoral fellowship with Ubiquity Solar, Inc., a company that produces advanced silicon materials for the solar energy industry. He eventually plans to move into a research and development position. “I want to maximize my design experience and materials background to advance the Canadian aerospace and transportation industries,” he says. 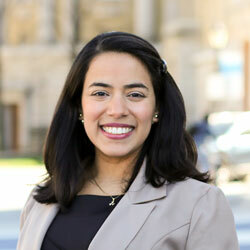 Monis Rodriguez first came to U of T from Venezuela to participate in DEEP Summer Academy, an experience that helped inspire her to study engineering. Throughout her undergraduate degree, she took advantage of many opportunities to develop her leadership potential, including chairing the 2016 Women in Science and Engineering (WISE) national conference. She also participated in ILead’s The Game, where she and her team worked to raise awareness of unconscious biases that can affect engineers in professional settings. Monis Rodriguez did undergraduate research on human factors engineering with Professor Birsen Donmez (MIE). She completed her PEY internship with Healthcare Human Factors, where she developed tools to evaluate and ultimately improve the interface design for medical devices such as infusion pumps. Gautam built a system that could simulate the three-dimensional stresses on various concrete structures and investigated the damage caused by the alkali-silica reaction under these stresses. His research could help civil engineers understand the damage caused by alkali-silica reaction in the context of real structures, and take the appropriate actions before it’s too late. Gautam, who came to U of T from Nepal, wants to use his degree to bridge the knowledge and technological gap between developed and developing nations. 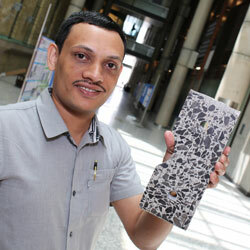 “I hope to promote precast and pre-stressed concrete in developing countries like mine, where such technologies are in their infancy,” he says. 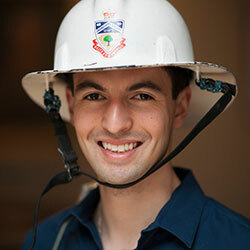 As an undergraduate, Mohaddes pursued research with Professor Nasser Ashgriz (MIE) on managing heat in nuclear reactors, and worked with Professor David Sinton (MIE) on developing measurement techniques that could be used in the growing field of underground CO2 sequestration, which led to his first published scientific paper. As part of the winning team of the 2015-2016 MIE capstone design competition, Mohaddes designed a high-pressure, low flow rate syringe pump for the oil and gas industry that would be significantly less expensive than current models. Mohaddes describes his experience at U of T as invigorating. “The people I met and the things I had the opportunity to do during my time at U of T give me inspiration to try to change the world in my own way,” he says. In the fall, he will begin graduate studies at Stanford University, studying combustion modelling with Professor Matthias Ihme. Ooms’ graduate research focused on microalgae, fast-growing organisms that take up CO2 from the atmosphere and can be processed into a variety of renewable fuel. 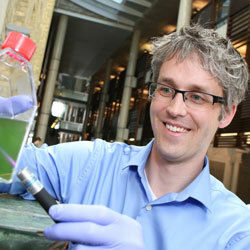 Working with Professor David Sinton (MIE) Ooms combined engineering, optics, and biology to design new systems for efficiently growing and processing microalgae, with the goal of making this new form of biofuel more economically competitive. His work was supported by a Vanier Canada Graduate Scholarship. For Ooms, one of the major advantages of studying at U of T was having unfettered access to state-of-the art fabrication and analysis facilities, not to mention the exceptional people who run them. “We could make just about anything we could imagine without walking more than four blocks,” he says. After graduation, Ooms plans to continue working in renewable energy. 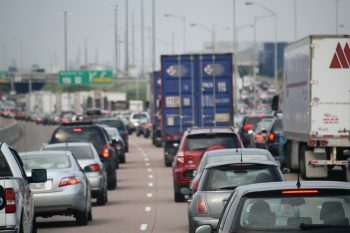 “I want to use the expertise I’ve developed to help Canada transition a low-carbon economy by developing alternative forms of energy generation and emissions reduction,” he says. Wen completed her PEY internship at Husky Energy, where she first heard of deep well injection to dispose of wastewater. She soon learned that deep well injection has also been proposed as a means to store CO2 underground, reducing the impact of greenhouse gas emissions. However, there is still much that is not known about the long-term stability of the method. When she returned to U of T, Wen worked with Professor Jennifer Drake (CivE) to undertake a detailed analysis of the risks and opportunities for deep well injection and CO2 sequestration. Wen plans to continue this research next fall, when she begins her MASc at Stanford University, working with Professor Peter Kitanidis on an inter-disciplinary project that combines CO2 sequestration with enhanced oil recovery. 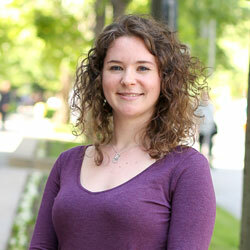 Shout out: “I want to thank Professor Jennifer Drake. She is a great mentor and her guidance through my research was immensely helpful to my future as a researcher. “My goal as an engineer is to make a meaningful contribution to solving some of the many environmental challenges we face,” says Hovey. The aim of her work with Professor Honghi Tran (ChemE) was to address the challenges around the disposal of pulp and paper mill biosludge, a waste material that is hard to deal with due to its high moisture content. Hovey studied the drying behaviour of biosludge in order to understand the underlying mechanisms and address key challenges. Outside of her studies, Hovey helped establish a student section of the Pulp and Paper Technical Association of Canada, serving as its co-chair and treasurer, and volunteered her time with the Chemical Engineering Graduate Students Association. She attended numerous pulp and paper conferences and is preparing two scientific papers for publication. 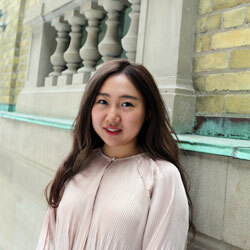 After graduation, she plans to work in environmental consulting or renewable power generation. Sabatini did his PEY internship in Belgium with Agfa-Gevaert, a technology company where he worked on developing a protective outer layer for photovoltaic backsheets. “It was a fantastic experience for both personal and professional development,” he says. Sabatini completed both the Bioengineering and Engineering Business minors. He put that training into practice in several leadership roles: he served three years as the MSE representative to the Engineering Society, three years as a head leader for F!rosh Week, and four with the MSE Club, eventually serving as its Chair. Next fall, he will begin his MASc in nanomaterials, studying with Professor Uwe Erb (MSE). 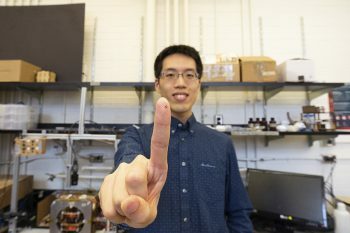 His research will focus on nanocrystalline nickel-iron alloys that could be used to make airplane or automotive parts stronger, harder and more resistant to wear. Elliott Donaghue’s research aims to accomplish something that is currently impossible: to treat and ultimately reverse the effects of spinal cord injury. Working with Professor Molly Shoichet (ChemE/IBBME) she and her team have developed a way to deliver molecules that promote healing directly to the site of the injury. The technique involves mixing proteins and nanoparticles into a Jello-like substance called a hydrogel. After being injected into the body, both the hydrogels and nanoparticles dissolve naturally within weeks to months, leaving behind therapeutic proteins that promote the growth and regeneration of nerve cell “limbs” called axons, which could reach across the gap of the injury and re-establish communication along the spinal cord. Elliott Donaghue currently works as an intern at CCRM, a non-profit that supports the commercialization of stem cell and biomaterials-based technologies. 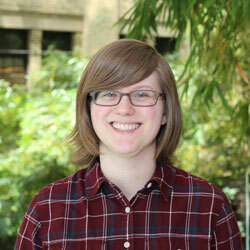 After graduation, she plans to continue the clinical translation of biomedical science and engineering research. 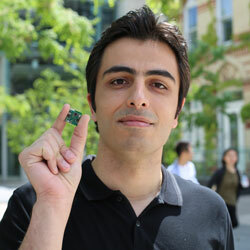 During his PhD, Kassiri worked with Professor Roman Genov (ECE) on an implantable electronic device that can detect and prevent upcoming epileptic seizures. The device, which is less than a square inch in size, will be implanted under the skin and electrically stimulates the brain, a treatment which can prevent seizures or reduce their severity. Unlike current devices, which fire at regular intervals like a pacemaker, Kassiri’s device records and processes brainwaves using a sophisticated algorithm that is integrated into the device. This enables it to detect when stimulation is needed, reducing the chance of missing a seizure.